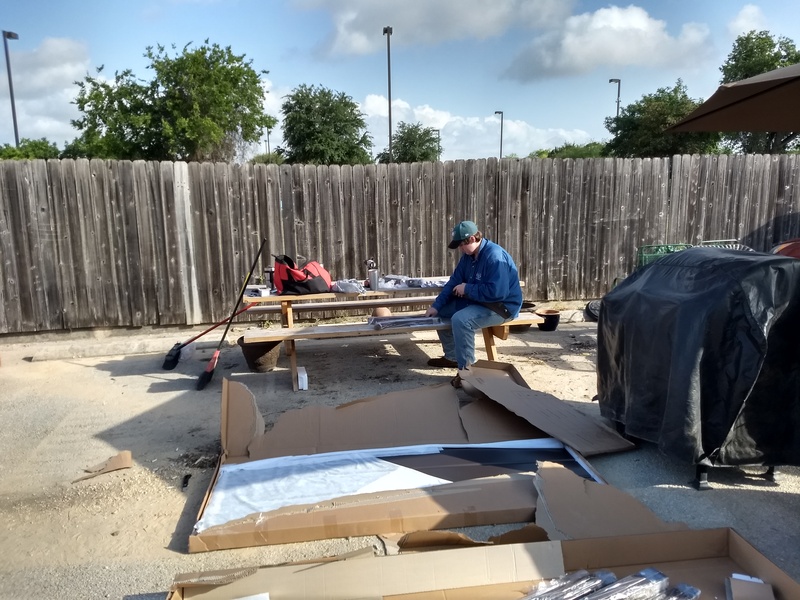 Garrett leads us by reading the instructions for assembly of the gazebo. Assembly of the gazebo frame. 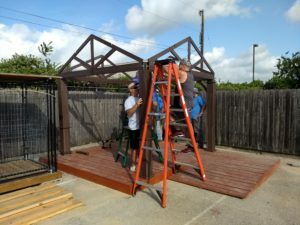 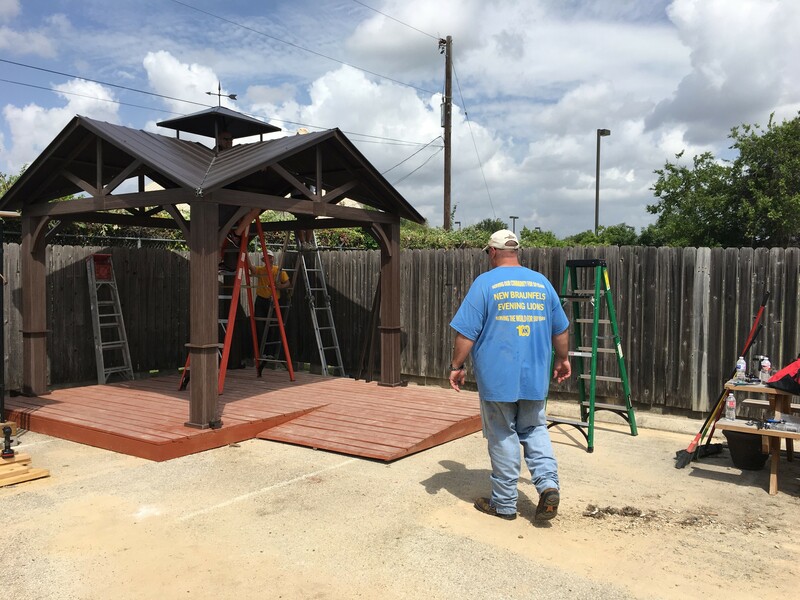 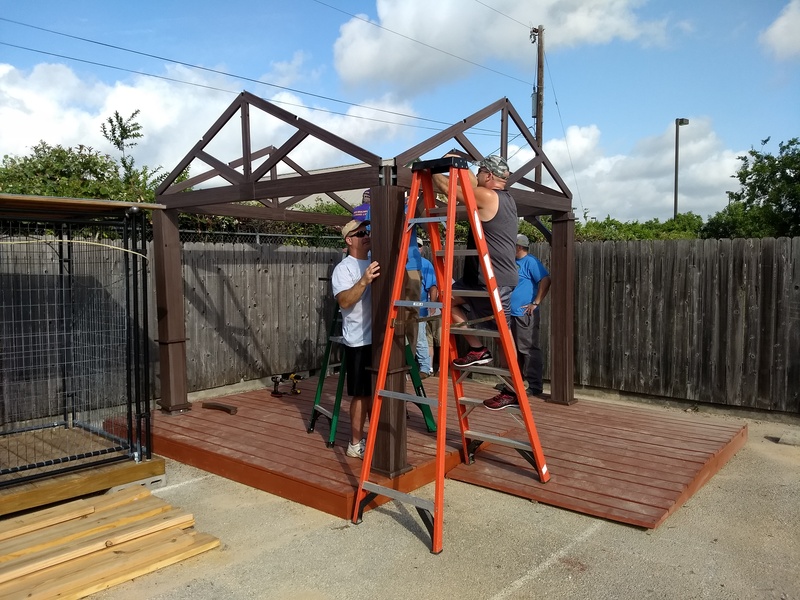 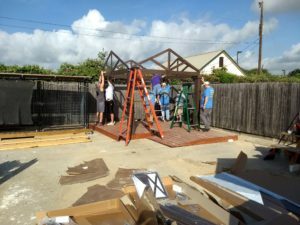 Completing assembly of the gazebo frame. 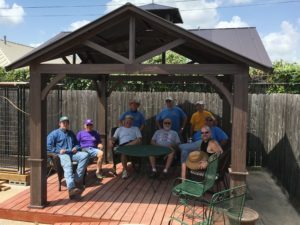 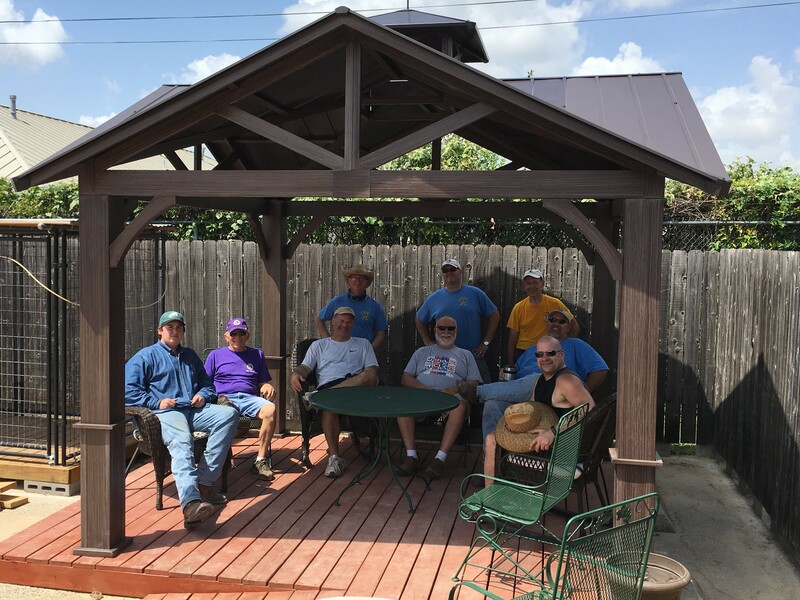 Our Saturday team at the finished gazebo.